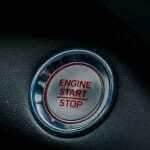 A subject that is cause for celebration is the return of Acura’s famous Super Handling All-Wheel-Drive system. TOFINO, BRITISH COLUMBIA – It’s a funny thing, this industry. 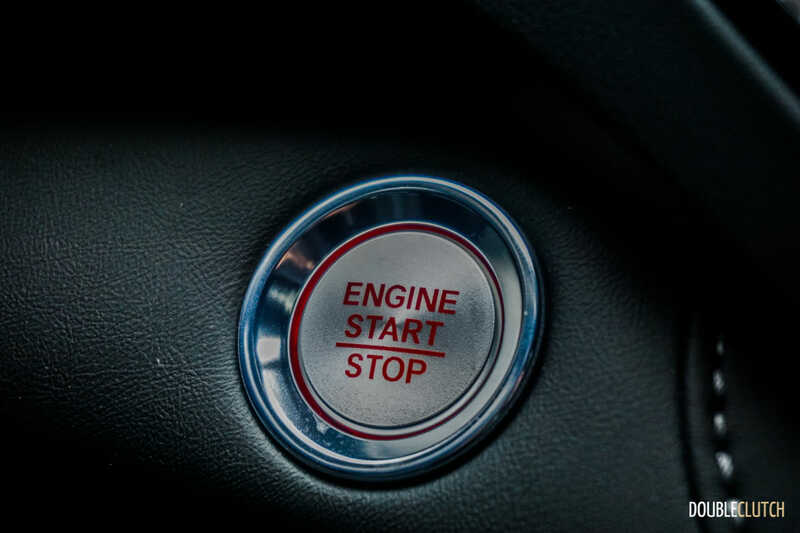 For the most part, when vehicles are approaching the end of their product life cycle, critics including our own team begin poking at the manufacturer for the respective car or truck’s obsolescence in anticipation of a new model. 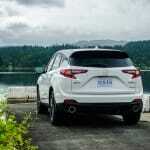 This surprisingly wasn’t really the case with the Acura RDX. 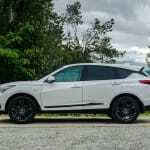 In rare form, the outgoing model, despite being around since 2013, is still a very good entry in the compact premium crossover class. As such, the new one had very large shoes to fill, so our expectations were quite high when we arrived on the west coast to test the 2019 Acura RDX. 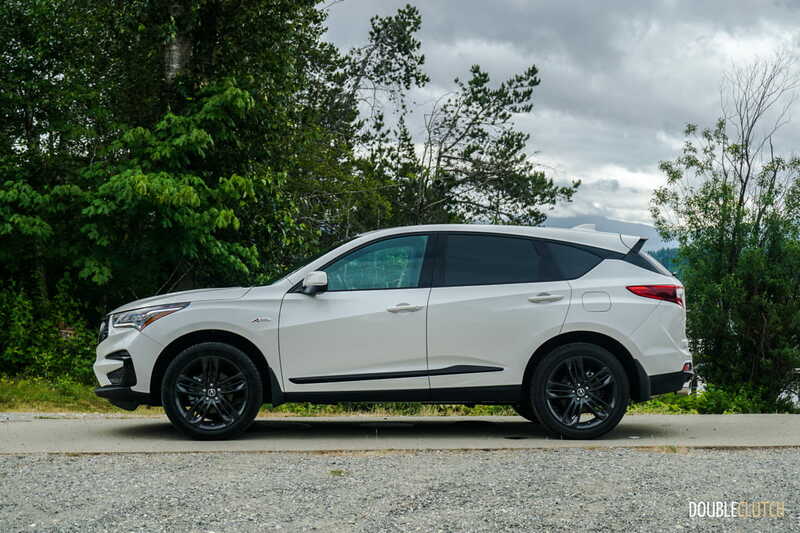 Designed in Acura’s Los Angeles design studio and built in East Liberty, Ohio, the new third-generation RDX is subjectively quite handsome. 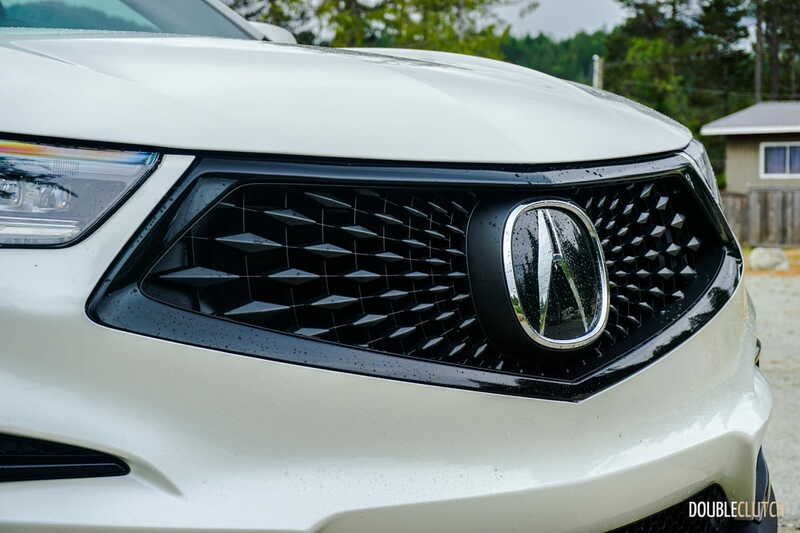 The old beak-style front end is gone, replaced by a new fascia that’s similar to the current TLX (reviewed here) and RLX sedans. 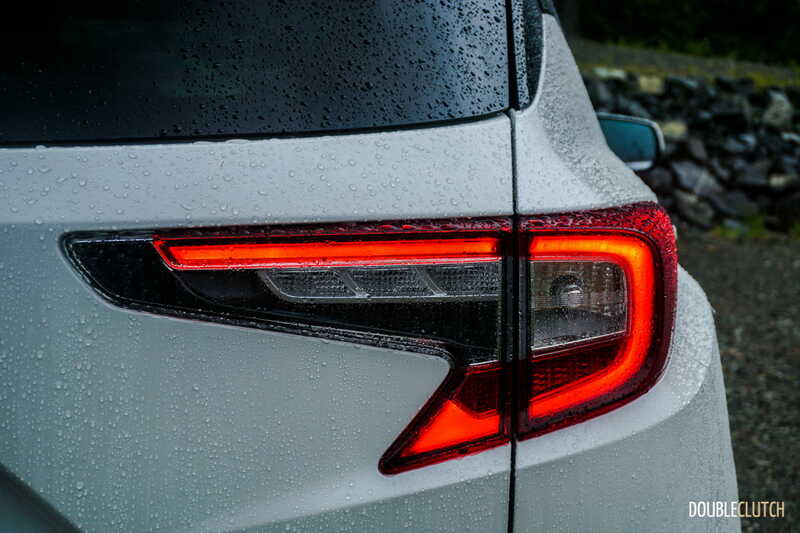 Full LED exterior lighting highlights the sharp lines, and the overall proportions are a little bit more aggressive than before. 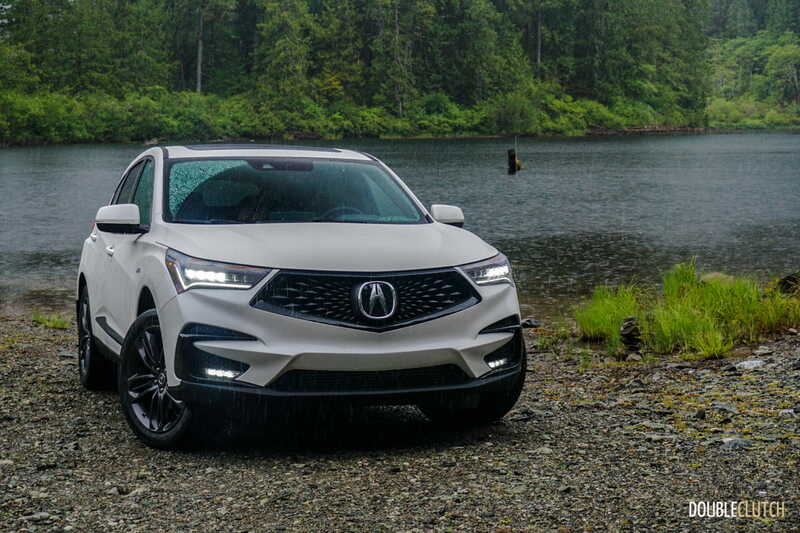 An A-Spec model tops the line, a first for an Acura crossover. This model employs sportier styling cues including smoked accents all around, 20” wheels sitting on 255-series tires, LED foglights and larger exhaust tips. 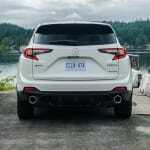 The crisper styling almost shrinks the new RDX in size, but the reality is that it has grown from nearly every angle. Overall length is up 2.4 inches, and the wheelbase has stretched from 105.7” to 108.3”. This growth notwithstanding, more than 50% of the body is composed of new high-strength steel for added rigidity, and comes in at approximately 20 pounds lighter. 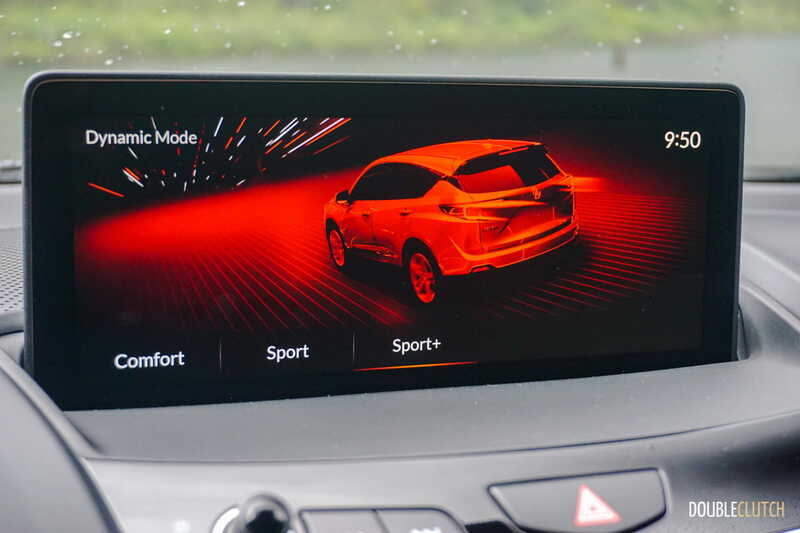 The weight reduction is noteworthy especially considering that the vehicle has a little bit more insulation and sound-deadening material to ensure library-like quietness in the driver’s seat. 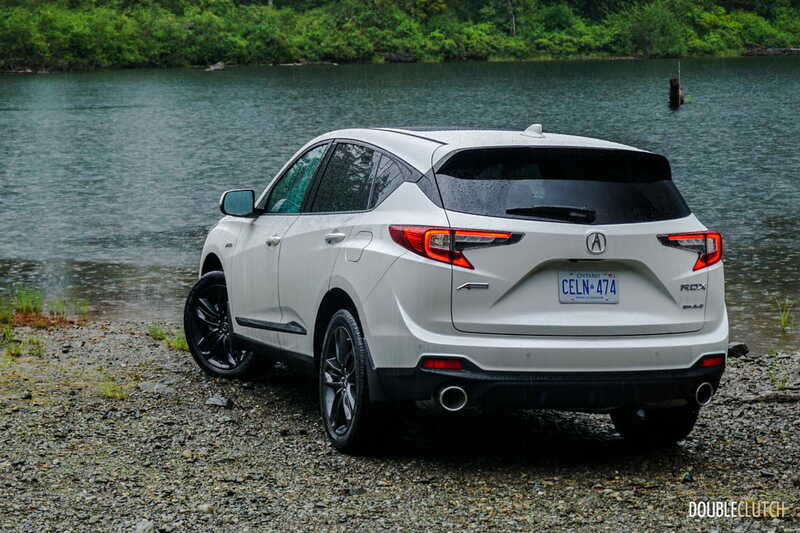 Those familiar with the last RDX may be sad to see the throaty V6 go away, but the new 2.0L turbocharged four, the de-facto choice in this category, puts out similar power numbers and is significantly more efficient. The new four does feature VTEC, and is good for 272 horsepower at 6,500RPM and 280 lb-ft. of torque (peaking between 1,650 and 4,500RPM), a torque number that is up 28 lb-ft. from the last model. From a strict numbers standpoint, the RDX has trumped the BMW X3, Mercedes-Benz GLC 300 (reviewed here), and the Audi Q5. Of course, all three of these models also feature six-cylinder performance variants. 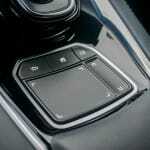 The RDX’s six-speed automatic is gone, replaced by a new Sequential SportShift 10-speed automatic. 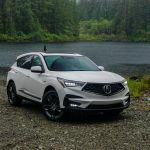 The engine may be down from 280 to 272 horsepower, but with the bump in torque and the effortless delivery from the new VTEC Turbo setup, it’s absolutely unnoticeable. 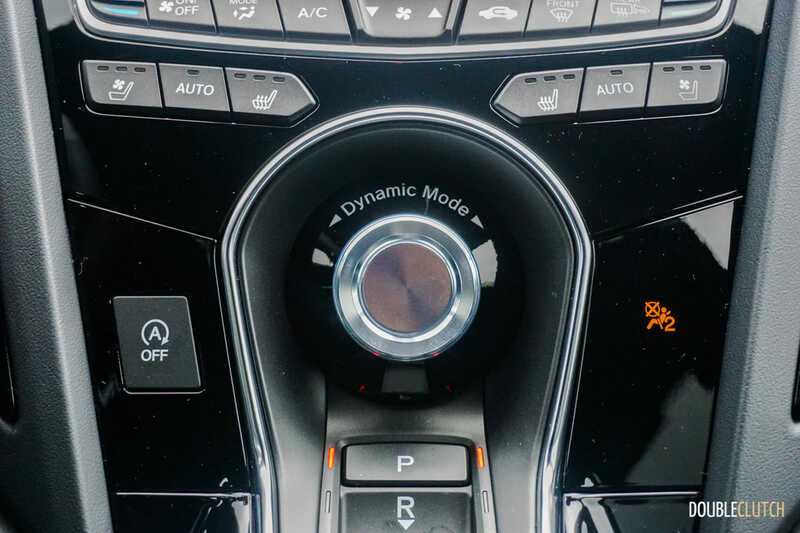 What is evident is the lack of raw noise from the V6, but this won’t be an issue for most buyers considering the improvements in all technical areas. 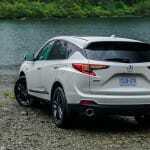 The transmission is very good, and will likely be more robust than any CVT application ensuring the RDX will likely maintain its reputation for bulletproof long-term reliability. 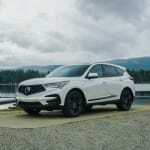 A subject that is cause for celebration is the return of Acura’s famous Super Handling All-Wheel-Drive (SH-AWD) system to the RDX, one of the most renowned AWD applications in the business. This system is different (and better) than other setups due to its ability to distribute torque for optimal performance between the front and rear axles, but can also do so between the left and right wheels maximizing handling precision and sharp response. The 2019 RDX can send up to 70% of torque to the rear wheels, and send up to 100% of that to either the left or right side depending on where it’s needed. 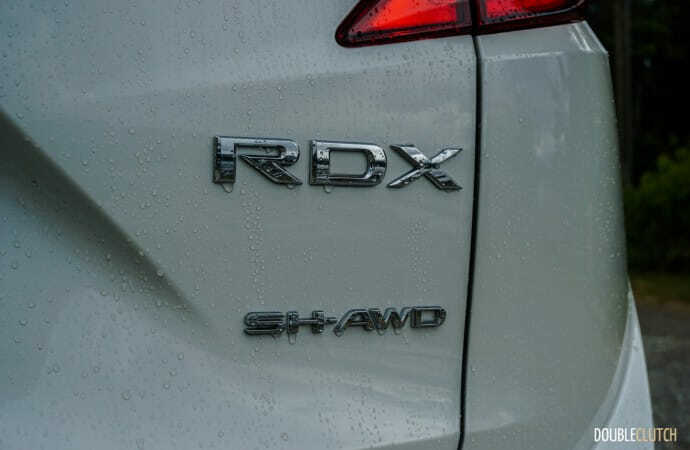 SH-AWD is standard on all RDXs sold in Canada. 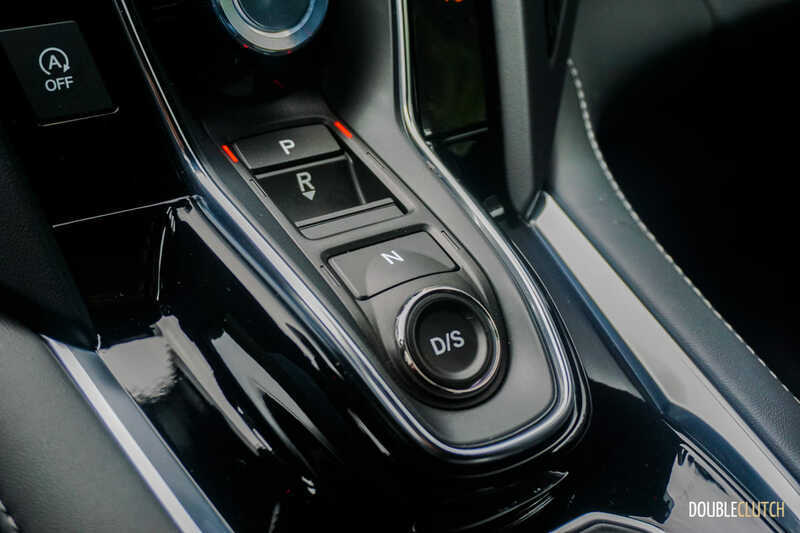 A new Agile Handling Assist system works in conjunction with the SH-AWD, which uses the ABS system to slow down individual wheels during cornering. 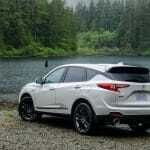 The system will use torque vectoring to create yaw and push the RDX through curves in the most optimal manner possible. The result of all of this is a luxury crossover that can handle not only competently, but deceptively well. 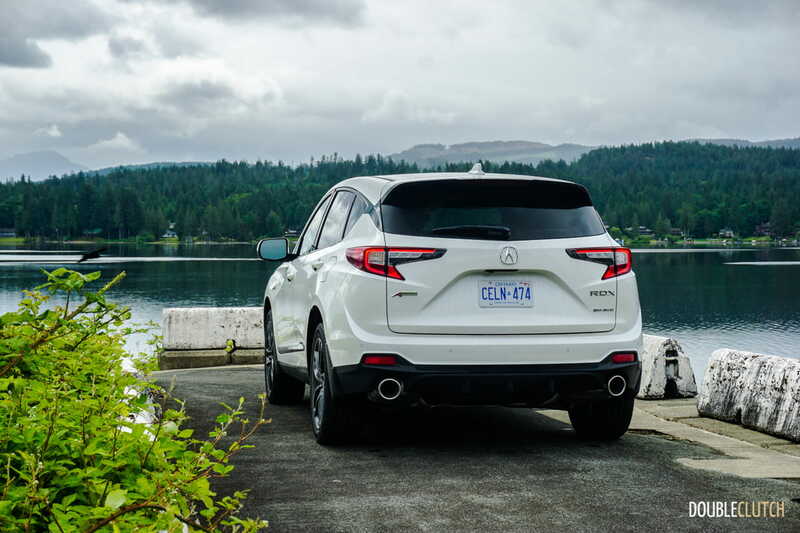 Even though the centre of gravity is higher than a comparably-sized sedan, the RDX is one of our favourites in the handling department. 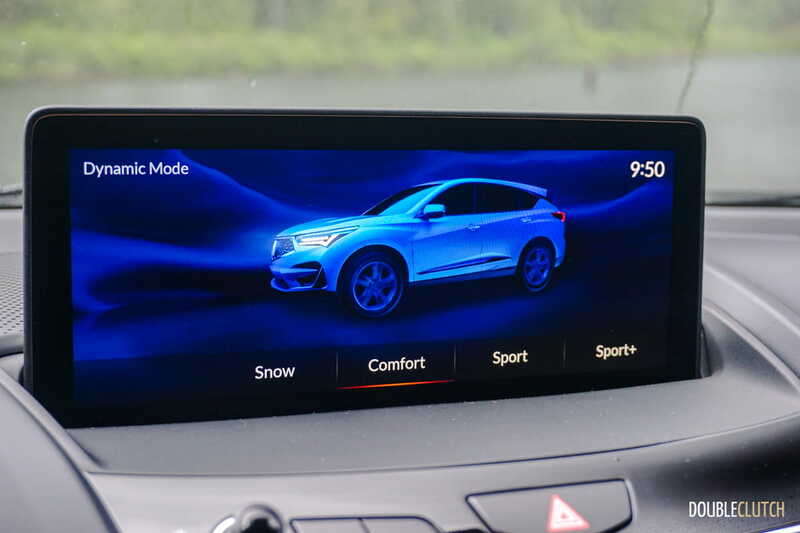 The outgoing RDX had a very dated interior layout, with an awkward dual-screen display that had graphics reminiscent of a Sega Genesis console. 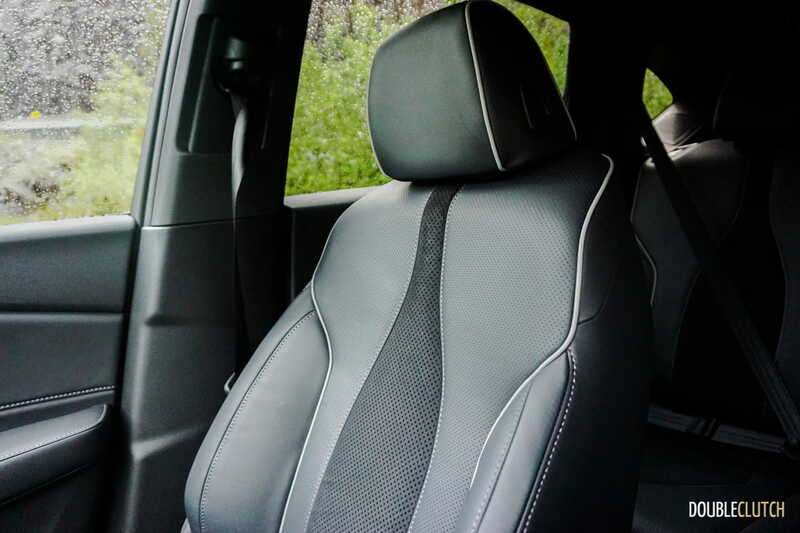 This is now gone, but the car maintains its superb seat comfort with redesigned seats and more premium appointments all around. 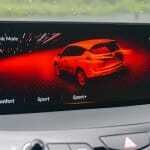 Visibility is excellent, and all of the major controls are clearly marked and easy to locate. 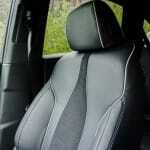 The cabin is nice and bright thanks to a large sunroof standard across the trim line. 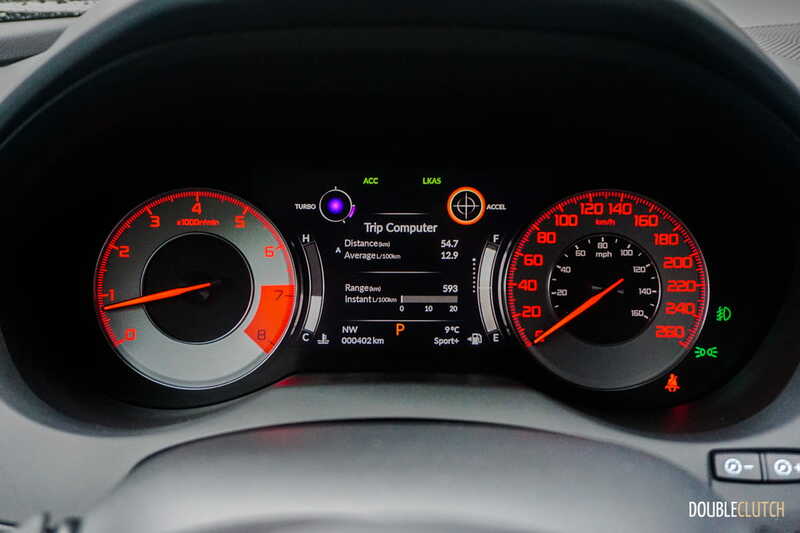 The instrument cluster has some sporty gauges that are backlit in red and are reminiscent of the brand’s departed RSX sports coupé – a great throwback touch. 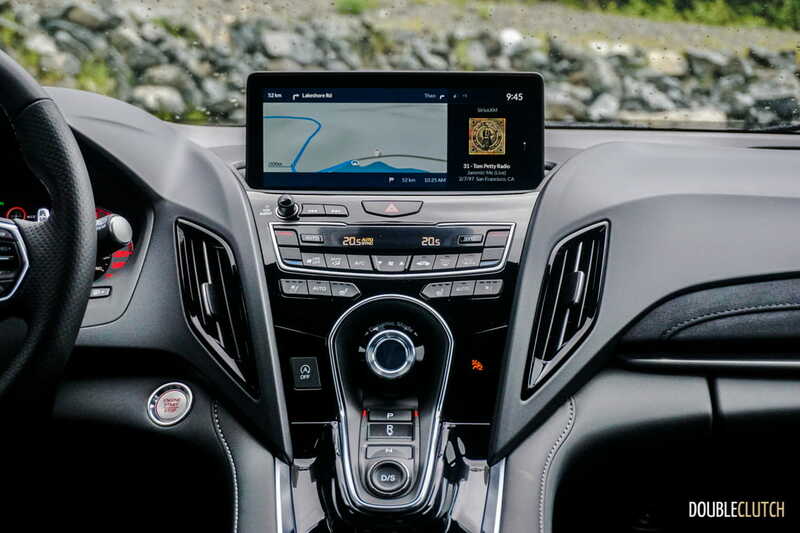 Infotainment is powered via Acura’s new Acura True Touchpad system, which is an Android-based system which operates through a 10.2” touchscreen and a touchpad. 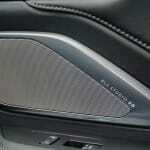 The screen can split its content, similar to BMW’s excellent iDrive connectivity suite. The graphics are quite sharp and the fonts are easy on the eyes. It’s a good setup in theory and has lots of potential, but the response time is not as quick as we’d like, and there are some controls that are a bit difficult to find. The jury is out on this one until we spend more time with the car on home soil and can get to know the system better. 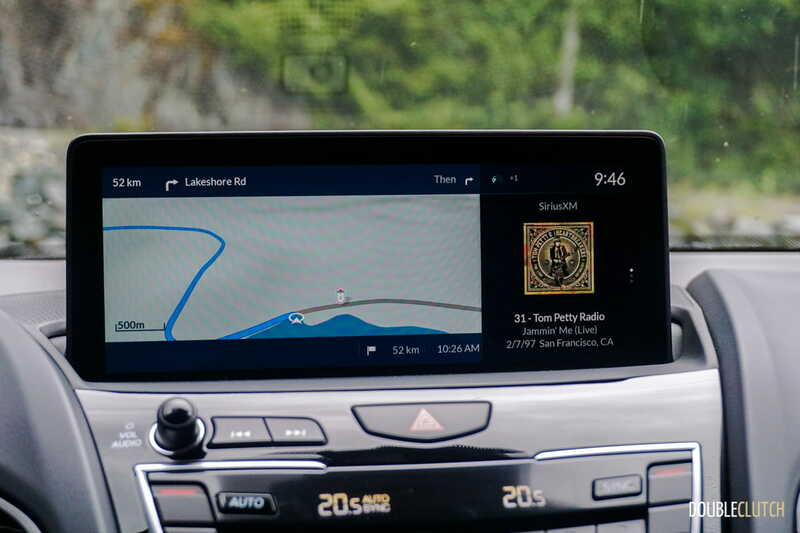 Apple CarPlay is standard, and Android Auto will be added very soon. 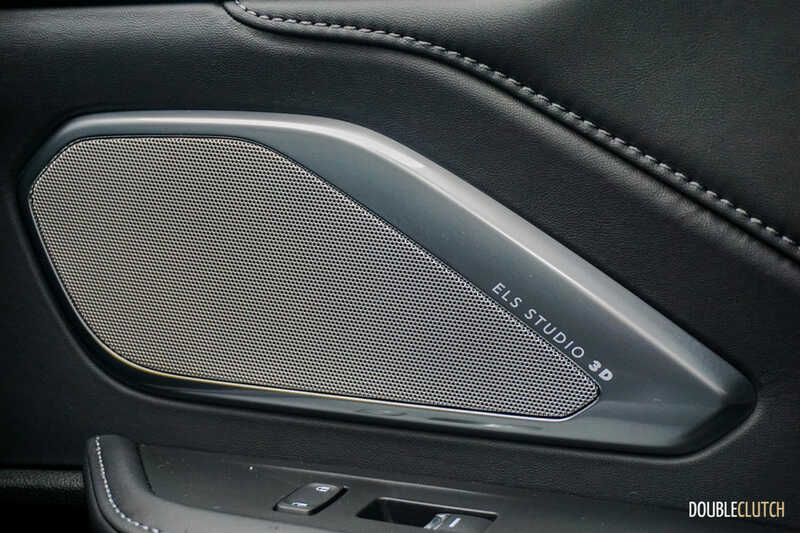 The system is quick and responsive, right up there with iDrive and Volvo’s Sensus setups. 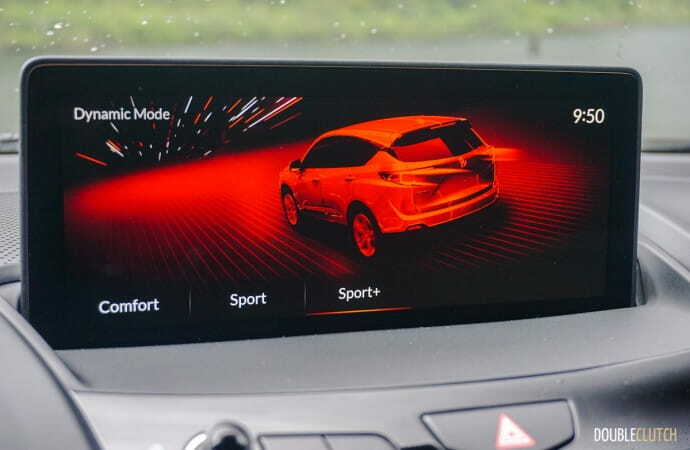 The AcuraWatch active safety suite is also standard across all models; Technology and higher models receive a blind spot information system, front and rear parking sensors, and rear cross traffic alert. The Platinum Elite model gets a heads-up display and surround view camera. 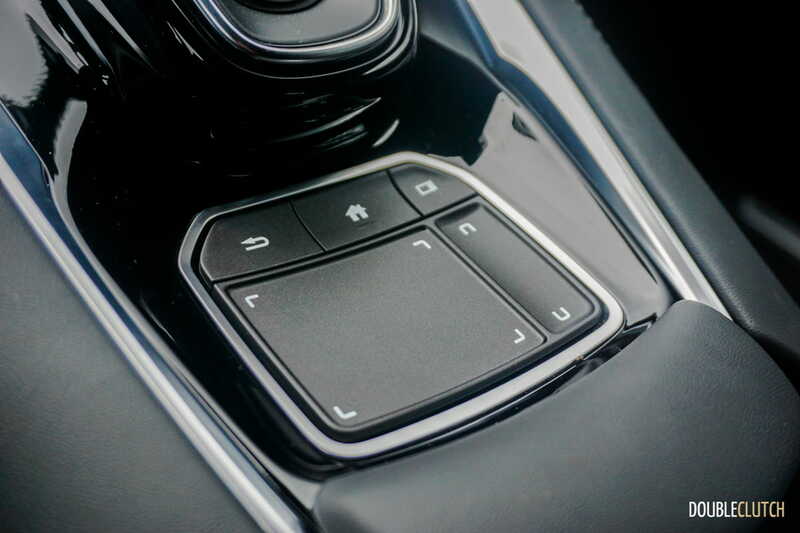 One ergonomic quirk is that the large knob located in the middle of the dashboard, which presumably would control the volume or system power, is used to select the drive mode. 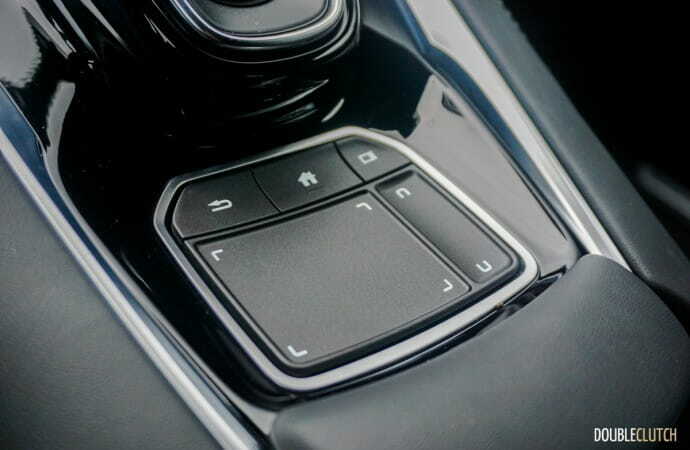 On a crossover where this task is not commonly needed, a more discrete button would free up valuable real estate on the dash. We found both front and rear accommodations to be generous for the segment, with a good driving position and decent ergonomics all around. Rear passenger legroom is also quite good, and headroom is sufficient even for my six-foot frame. Cargo capacity with the rear seats in place is up to 881L, which grows to 2260L when the seats are folded down and the under-floor storage is revealed. 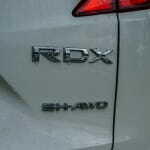 A huge weak point on the last RDX was fuel efficiency, which was slightly offset by a relatively low cost of entry. The new model improves this, with an official rating of 11.0L/100km city and 8.6L/100km highway, for a combined 9.3L/100km. 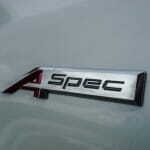 The A-Spec model is slightly thirstier, rated at 11.3 and 9.1L/100km, respectively. Over approximately 250km of driving with an A-Spec model, we saw 11.0L/100km with plenty of idling and no effort towards efficiency. 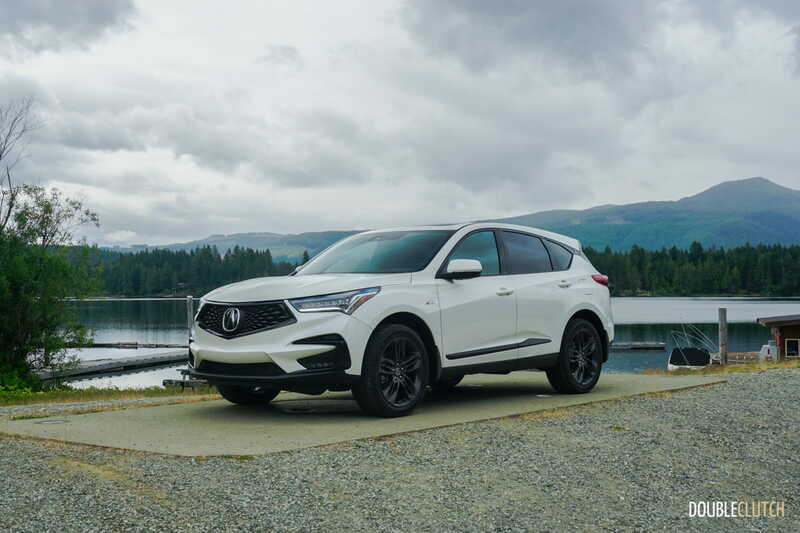 Not only does the 2019 RDX have massive shoes to fill over its own predecessor, but it goes up against some strong German competition. The Mercedes-Benz GLC, Volvo XC60 (reviewed here) and BMW X3 are all exceptional products and have all been redesigned within the last two years. 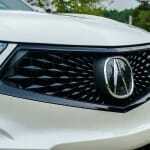 The RDX once had an edge with its standard V6 engine at a similar starting price, but that gap has shrunk – it still has more power than all of its four-cylinder rivals. 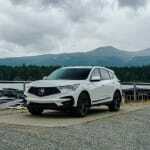 There are many buyers that insist on staying within Japanese brands for longevity and out-of-warranty maintenance costs, and the RDX along with the upcoming Infiniti QX50 will be kings in this niche. 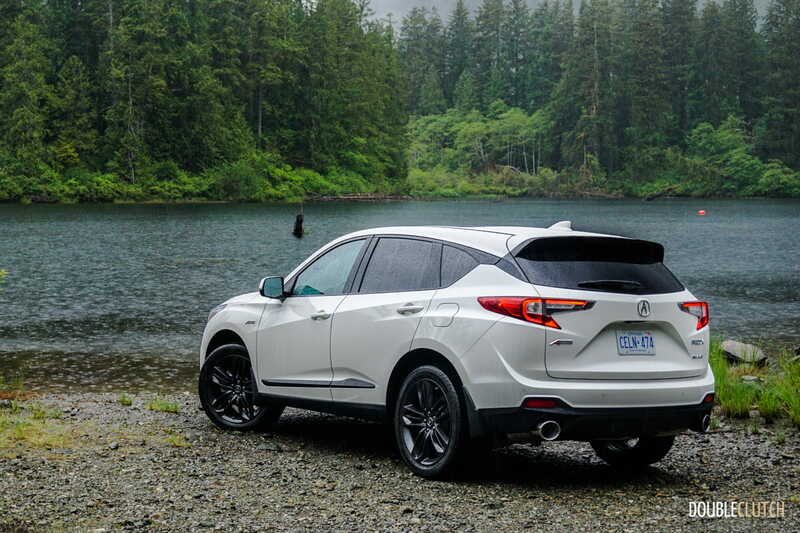 Starting at $43,990, the base RDX still comes with Jewel Eye headlights, dual-zone climate control, power tailgate, AcuraWatch, intelligent key, remote start, 19” alloys, a panoramic sunroof, and more. 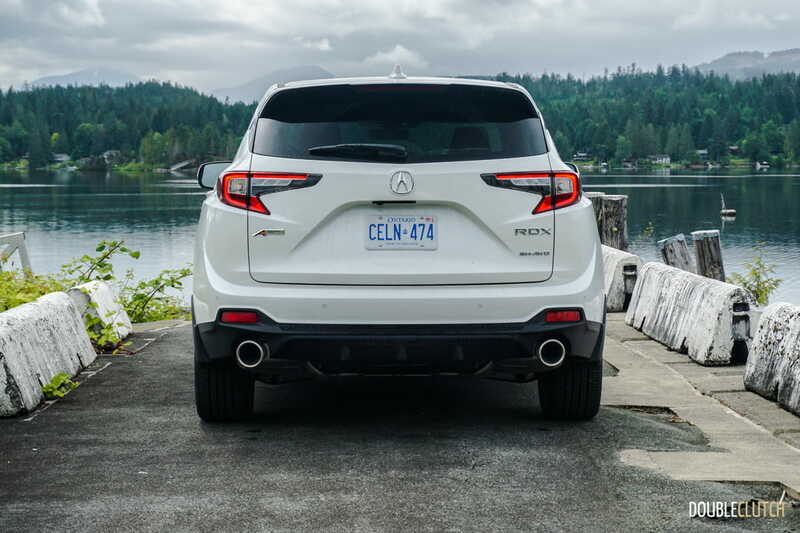 The Tech is the one most Canadians will opt for, which adds navigation, 12-speaker ELS audio, blind spot info, and more for $46,490. 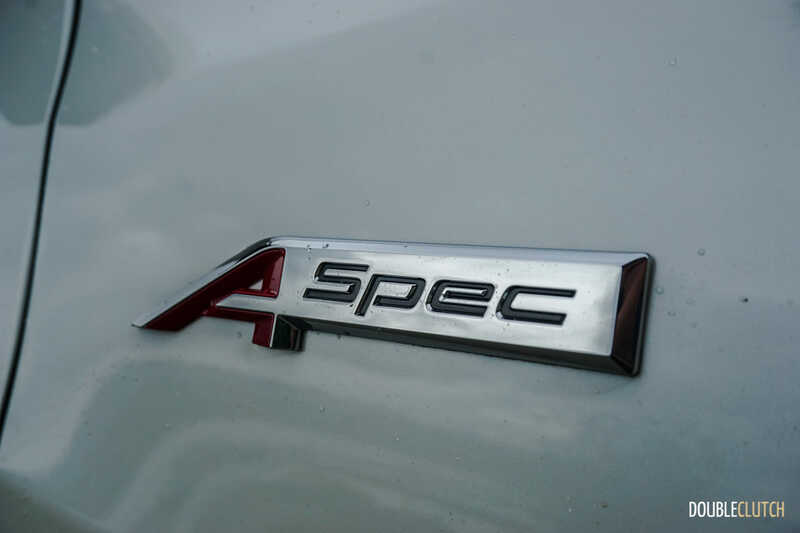 The optional A-Spec package adds the appearance goodies, ventilated UltraSuede seats and more, at $50,290. 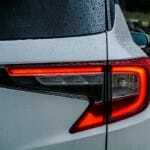 The top trims are Elite ($49,990) and Platinum Elite ($54,990), and the latter includes an active damper system, LED fog lights, and ventilated seats. 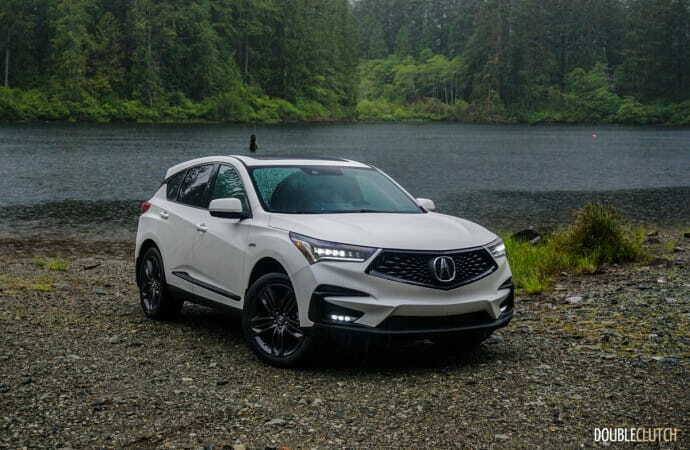 The 2019 Acura RDX isn’t just a worthy successor to a competent luxury crossover – it makes for one heck of a strong player in the segment. 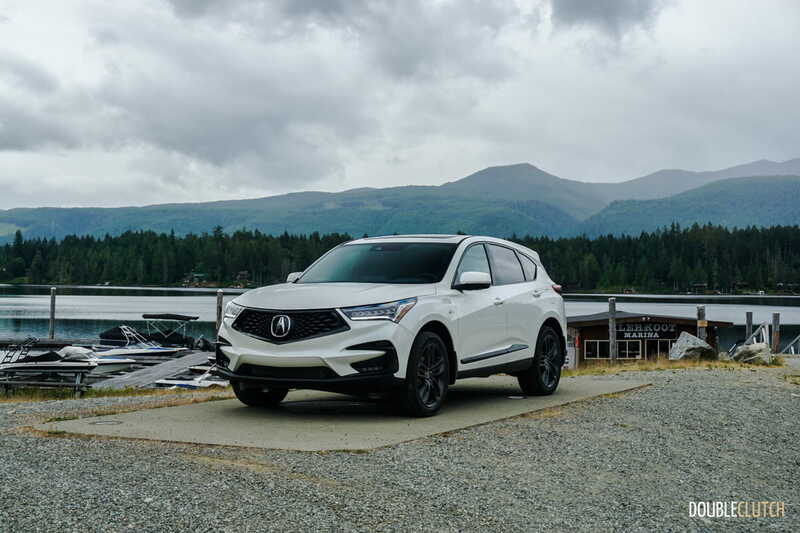 Going up against the Germans and Swedes isn’t an easy task, but Acura has done it commendably in this case with their “precision crafted performance”. The styling isn’t wild enough to deter more conservative buyers, and still boasts a great compromise between sporty and luxurious appearance. Those in the market for a small to midsize luxury crossover to keep for many years would be doing themselves a disservice to not give this one a look.